safe with people who already lost it once. reliable asset keeps this famous yellow metal highly sought. some of the many reasons why buying gold is a wise investment. Owning gold could well be the ultimate insurance for turbulent times. It’s an age old question which people have been asking for centuries – where is my money really safe? More and more people are now choosing the oldest answer: GOLD. The UK and wider economies might not be in quite the same turmoil as 5-10 years ago, but the economic situation is not greatly improved. Living costs are higher while wage growth has been very slow to catch up with inflation. Banks are wary of lending and interest rates are very low. This is where gold comes in. Gold offers about as much certainty as you can get and bullion, unlike other investments, will always hold a value. Gold bullion is an effective way of hedging against other investments as its value tends to be particularly buoyant when other investments such as stocks and property are under-performing. coins can be taken with you easily, wherever you go. 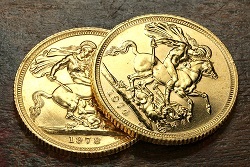 of gold such as gold coins, could be used to buy and trade yourself out of trouble. Since the crisis in 2008, people have paid more attention to their finances and are looking harder than ever for alternative methods of protecting the value of their money. Gold offers a long-term safe haven for those looking to protect and preserve the value of their wealth as it will always hold a significant value no matter what. Gold investment should be viewed primarily as a low-risk security asset for yourself and your family’s future. The unpredictable nature of the UK economy and the Eurozone, especially since Brexit began, suggests further long-term strength and likely rises in the global gold price, but these potential profits should not be the main reason for investing in gold. Bullion should be viewed as a non-speculative, safe, long-term method of safeguarding your wealth. Owning gold offers a unique and interesting element to your portfolio, offering an opportunity to spread the risk from the uncertainty of other investments such as stocks and shares, property, and currencies, which may be under-performing. ownership and responsibility over your own future instead of relying on others to do so. Click here to see how you can store your gold with BullionByPost. minutes and get a bank transfer or instant cash payment onsite the very same day. 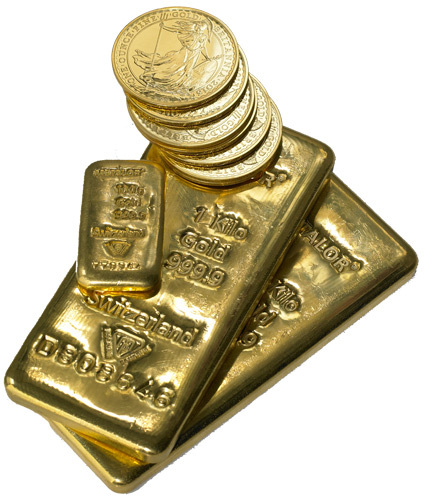 Click here for more information on why buying physical gold is your best option. Gold Performance – where next for Gold? The price of gold began rising sharply in August 2007. After the banking crisis in 2008-2009, gold continued to boom and peaked in 2011. During these four years the price of gold doubled, but following the peak in late 2011 trading and investment switched from bullish (keen) to bearish (hesitant). This is a common occurrence in the world of investment as the investors will deem an asset too expensive and lose interest, or spot an opportunity with something that is undervalued. Gold's bear market hit the bottom at the end of 2015, and the gold price soared in 2016 spurred on by economic and political uncertainty caused by events such as the Brexit referendum result and Donald Trump's election. The price continued to rise into 2017 with tensions between the USA and North Korea over nuclear missile testing, but by the end of the year the Cryptocurrency bubble was stealing the limelight from gold, shortly followed by a stock market boom to welcome 2018 in. This bubble continued until March but at the start of June 2018, stock markets stalled, currencies grew more volatile, and gold prices climbed up once more, proving that you can't stay away from gold for too long. Continuing uncertainty over Brexit has seen the price of gold rising further still. The gold price tends to rise as investors in other markets get the jitters, but the big question is what happens next? For those of us in the UK the big concern is Brexit. Will we, won't we, how hard an exit will it be, will it trigger another General Election... there are so many factors to consider and this is causing investors to be cautious. The problem is that the UK is not the only country going down the road of leaving the UK. Italy's political upheaval could see them follow us, and losing two major nations would be a huge blow to the Eurozone economy and the stability of financial institutions within it. As with all investments, there are no guarantees trends will continue. Gold going up doesn't mean it will keep going up for months to come. By conducting your own research and keeping an eye on the news and current affairs you can learn about what triggers a rise or fall in the gold price and act accordingly with these developments. Buy gold primarily as a safeguard for the future, and secondly as a profitable investment. If you are of the belief the current economic difficulties will continue down the same road for some time to come, then the gold price is likely to remain high and continue to rise. Click here to view the current price of gold via our live gold price charts. Read more about the World Gold Council's predictions for the next 30 years in our News Section. Another factor to consider is demand. With the world’s gold reserves lower than ever and general demand in many countries higher than ever before, many experts predict that the metal will remain a highly valuable commodity for many years to come. Figures released by the World Gold Council have shown a year-on-year increase in gold and silver demand; both for investors and for industrial purposes. For the former, it's about preserving wealth and diversifying their portfolios to get strong returns. For industry, we're seeing more and more gold and silver used in modern technology, whether it's smartphones, electric cars, or solar panels. Gold investment is experiencing growing demand in China and India in particular. European countries including Germany, Switzerland, Turkey and France have also experienced record uplifts in consumer demand. unparalleled amounts of the precious metal, has there ever been a better time to buy gold? we have a huge range of gold and silver starting at prices as low as £10 and going up to over £300,000. 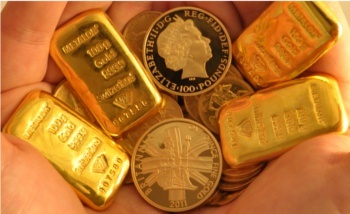 Click here to see our range of gold bullion bars. Related Links: If you have any questions about gold bullion investment, please feel free to contact our knowledgeable and friendly team on 0121 634 8060 who will be happy to talk your through any queries you may have. Alternatively, you can email us at [email protected] and we will get back to you as soon as possible.